Big Wild Goose Pagoda is one of the must-visit place to both domestic and international tourists’ Xian Tour. And if time allows, quiet some visitors will walk on the Big Wild Goose Pagoda Square and the nearby Tang Dynasty All Day Mall to enjoy some relaxing time. 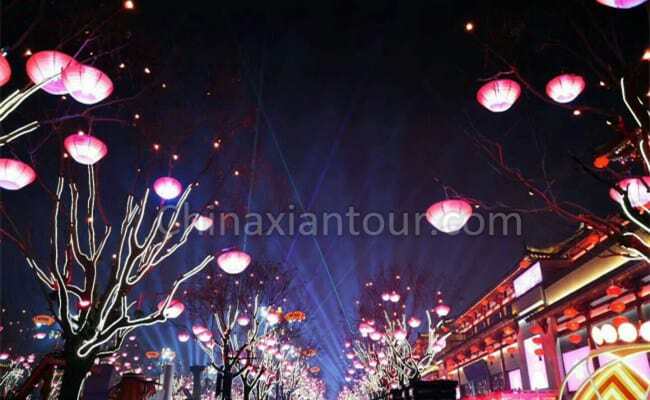 Here is also one of the best place to enjoy night view of Xian. 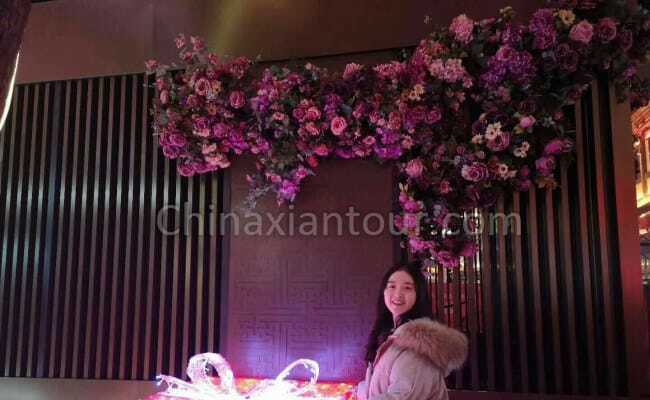 Now it’s still 20+ days to 2019 Spring Festival, but Big Wild Goose Pagoda Square and Tang Dynasty All Day Mall have already finished their preparation to welcome the coming Chinese New Year. The area is more eye delighting than any other days. If you are planning to visit Xian, we highly recommend you take a night walk to see how gorgeous this ancient city could be. And you will meet a totally different Xian from what you see in day time. 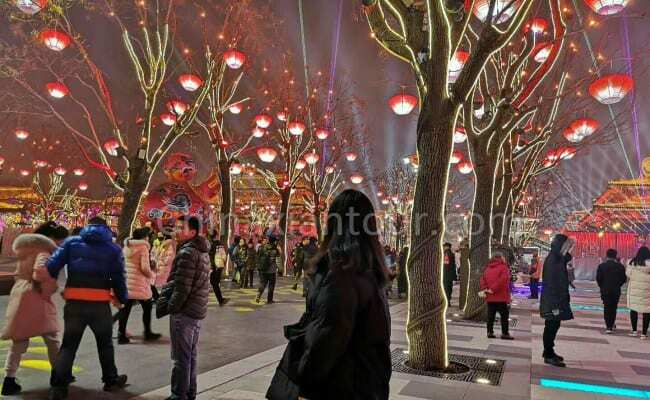 All the trees on Big Wild Goose Pagoda Square are decorated with colored lanterns, and the tree branches are all decorated with warm-tone yellow light. See from afar they are very much eye catching. The most attractive decoration may be the Piano Street – They use the infrared sensing technology to create piano keys on the street. When you take a walk there, you may step on the different keys, then you will see different colors and hear various tones. The street is the top popular destination among young guys and kids. The one more highlight is the music shows with various traditional Chinese and modern music instruments. The instrumentalists and folk song singers are also heart catching scenery.